As a child growing up in Saratoga Springs, N.Y., Kristin Laidre was fascinated by whales. Now a marine biologist at the UW’s Polar Ice Center and the School of Aquatic and Fishery Sciences, she’s living her dream of studying narwhals, the mysterious 2,000-pound mammals that are notoriously tricky to find. “Narwhals are elusive and skittish and difficult to study. They spook really easily,” says Laidre, ’99, ’03. Once, she waited on a boat in the Arctic for an entire month without seeing even one. Laidre spends three months every year in the Arctic. She is especially interested in learning why narwhals seem to prefer congregating near the fronts of glaciers. This summer, she’ll take a research vessel to the Arctic and drop a special anchor, affixed with sound equipment, to the bottom of the sea to capture the sound of narwhals year-round. Her team will also anchor a video camera to a rock outcropping so researchers in Seattle can see what the narwhals are up to day or night. 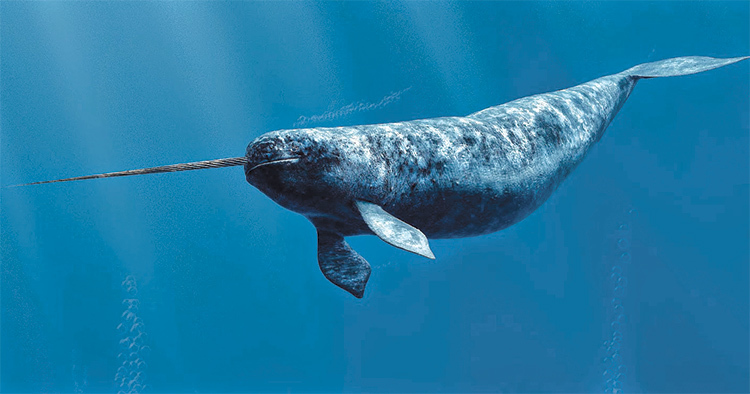 Cool facts about narwhals: They have no teeth and gum their prey, even huge Greenland halibut. They can dive a mile beneath the ice and while they don’t sing, they do click, squeak and buzz.